Parents get a little crazy about their kids’ messes. They’ve got so much, they forget half of what they own. Collections of Barbie dolls, Legos, Golden Books, American Girl dolls, Star Wars action figures, Polly Pockets, play kitchen plastics, Magnetics, Wii accessories, and lip gloss are strewn all over the house. I’ve heard of more than one mom “secretly disposing” of forgotten toys. But if kids see the discard pile, watch out. The weeping and wailing and pleading for these “special” toys come on with full force. 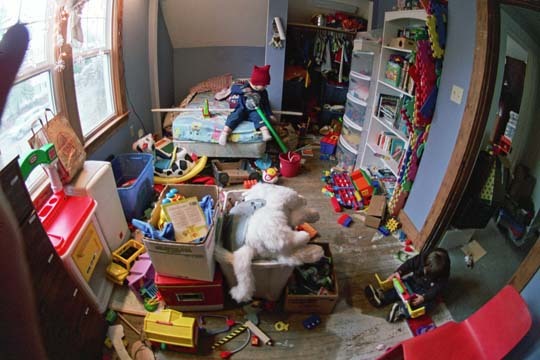 Honestly, our kids’ toy closets don’t look so different from our own pantries, vanity drawers, third-car garages, and investment portfolios. I think they come by it honestly . . . and far too early. Our youngest children of Ephesus School talked about the treasures they store in their toy boxes. It’s exciting for young children to talk about the things that are special to them; just like adults and how they talk about the great buy on spaghetti sauce (so buy 20), anti-wrinkle cream which peels back the years, their new RV with seat warmers, and their rising stocks in BP oil. But kids this age also love telling stories about how they share toys with their friends, and how friends share with them. I remember my own daughter at that age had no trouble giving away her most-prized toys. Unfortunately, I think I stopped her when she was ready to give away an expensive doll Grandma had recently bought for her birthday. Now that she’s older and has really learned from my example, she’s much more careful about that kind of heedless generosity. I think the doll is now safely stored in a closet somewhere. During these past six weeks in studying Micah, our youngest students have been memorizing 6:6-8. “Thousands of rams and ten thousand rivers of oil” reminds us of “thousands of toys and ten thousand stickers.” What an impressive offering . . . any kid would want that! And why shouldn’t God be pleased with it too? But the offering itself accuses the giver. It takes careful storing and calculation to produce an offering at this sum. The ironic thing is that the rams and oil are God’s from the beginning anyway. So the children are now beginning to see that their toys are really God’s toys, so why not share them or give them away like He shares them with us?